Nepal’s Ministry of Commerce, together with the Asian Development Bank (ADB) and other involved government agencies, conducted a national consultation on sanitary/phytosanitary (SPS) and technical barriers to trade (TBT) on 13 June in Kathmandu, Nepal, in preparation for launching a national SPS/TBT diagnostic study, under the trade facilitation agenda of the South Asia Subregional Economic Cooperation (SASEC) Program. Discussion on the terms of reference for the national SPS/TBT diagnostic study focused on the methodology of identifying products; agreement on the overall methodology; aspects to be taken into account in the national context of Nepal; the readiness of the Nepal SPS/TBT National Focal Point and Core Group to work with the national consultant; and the role between the national and international consultant. The Consultation brought together the Ministry of Commerce (SASEC SPS/TBT Focal Point), Ministry of Agricultural Development (SASEC SPS/TBT Core Group), Nepal Bureau of Standards and Metrology (NBSM; SASEC SPS/TBT Core Group), Ministry of Industry, private-sector representatives from the Federation of Nepalese Chambers of Commerce and Industry, and the research network South Asia Watch on Trade, Economics and Environment. 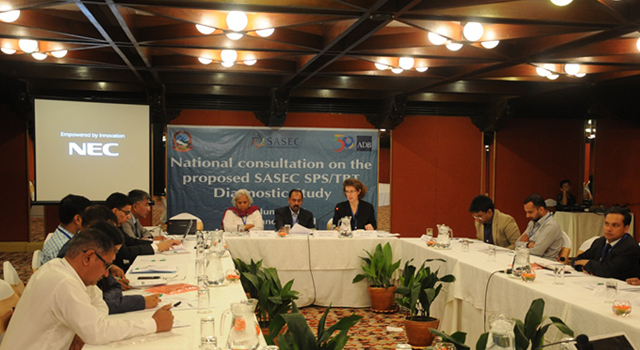 The South Asian Association for Regional Cooperation (SAARC) also participated in the Consultation. 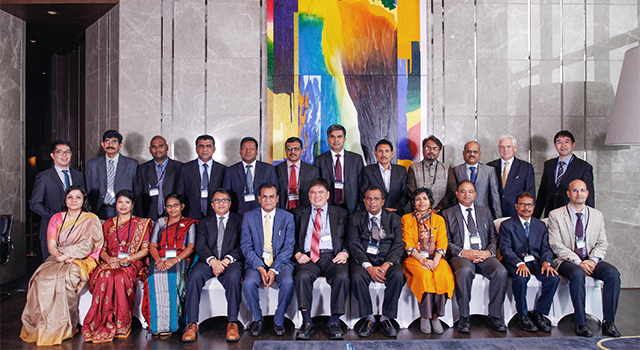 Mr. Rameshwar Pokharel, Under Secretary, Ministry of Commerce co-chaired the consultation with ADB. 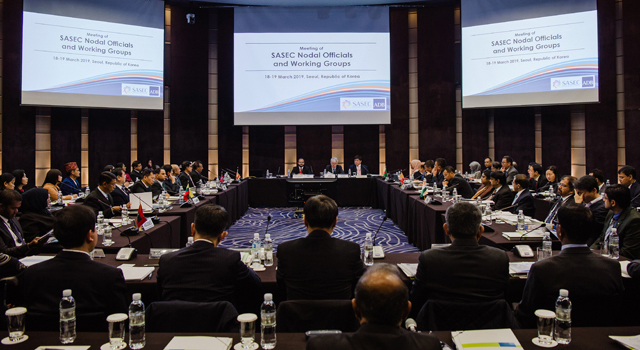 Ms. L. Savithri, Director, Economic, Trade and Finance Division, SAARC gave opening remarks, and updated participants on SAARC and South Asia Regional Standards Organization (SARSO) SPS/TBT initiatives, highlighting the importance of the SASEC SPS/TBT diagnostic study process in the overall framework of SAARC. 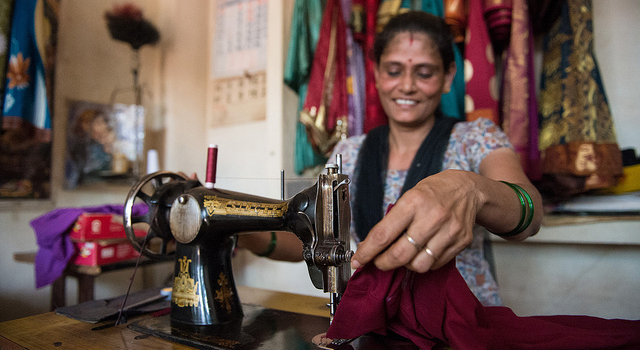 She noted that items are now being removed from the South Asian Free Trade Agreement sensitive list, tariffs have been lowered, and work has started on the gradual dismantling of trade barriers, including SPS/TBT measures. Dr. Pradyumna Pandey, Chief, International Trade Promotion Section, Ministry of Agricultural Development, presented on Nepal's initiatives on SPS measures, and Mr. Sanjeev Kumar Thakur, Director, NBSM provided an update on Nepal's initiatives on TBT measures. The presentations detailed the current status of SPS/TBT constraints and challenges in Nepal, highlighting weak conformity assessment infrastructure; non-recognition of testing certification; inadequate testing and calibration facilities; high cost and lengthy process of conformity assessment for exporters; insufficient legal and institutional mechanism for the protection of public health and safety; lack of risk-based inspection; and inadequate technical, infrastructural and human resources. 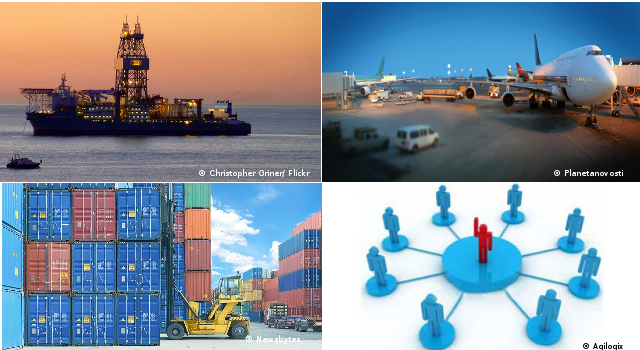 Particular emphasis was laid on the difficulties of inter-agency coordination (both on the side of government, development partners, and international organizations), which hinders development of a holistic integrated approach to address SPS/TBT measures and thereby improve value chains for export markets. 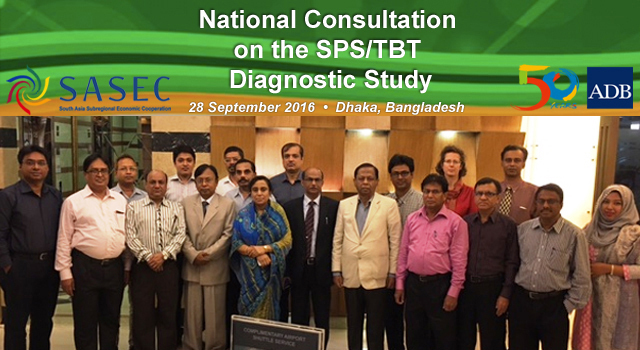 Dr. Selim Raihan, ADB international consultant and coordinator for the overall SPS/TBT diagnostic study project, presented the draft terms of reference for the national diagnostic study. 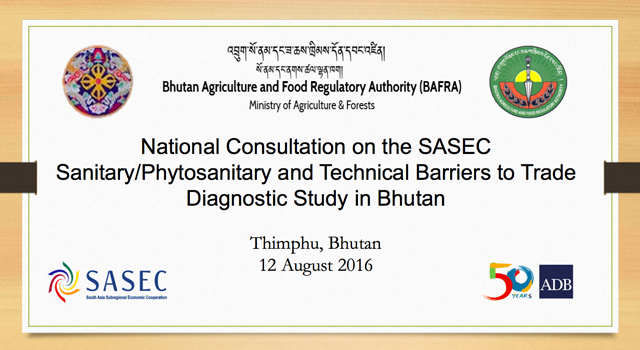 He clarified objectives, methodology, and tasks of the Nepal national diagnostic study. Mr. Ahsan Tayyab, Principal Agriculture and Natural Resource Specialist, South Asia Department, ADB also updated participants on the proposed ADB-financed Agriculture Sector Development Loan.